Part of an on-going tradition, our first breakfast of vacation was at Zee Best. 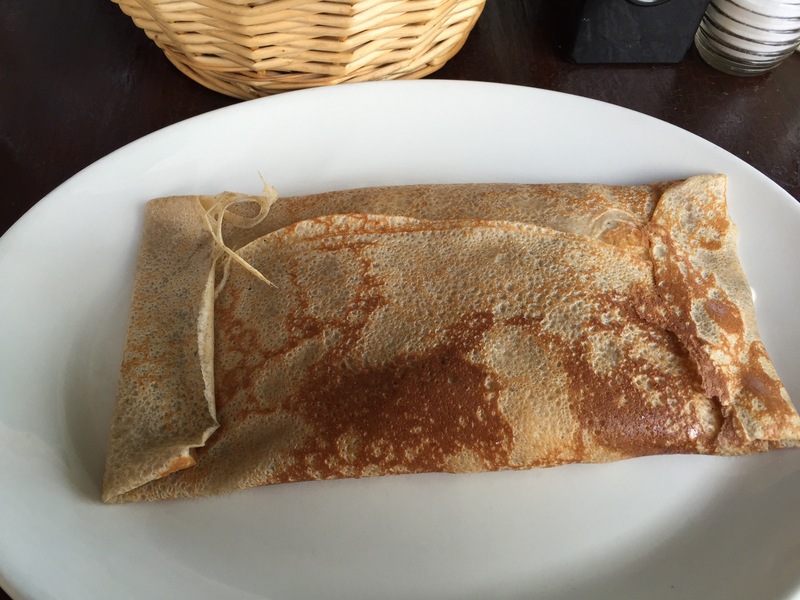 A favorite of ours for years, they serve amazing omelettes, savory crepes, and sublime pastries. 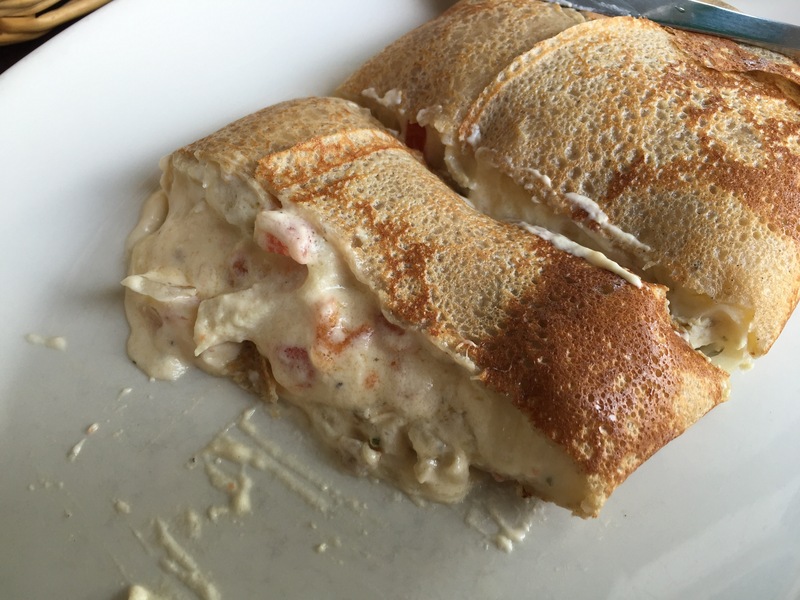 Had the La Volaille crepe, which has chicken, tomatoes, onions, cheese and cream cheese, this is a rich and savory delight. 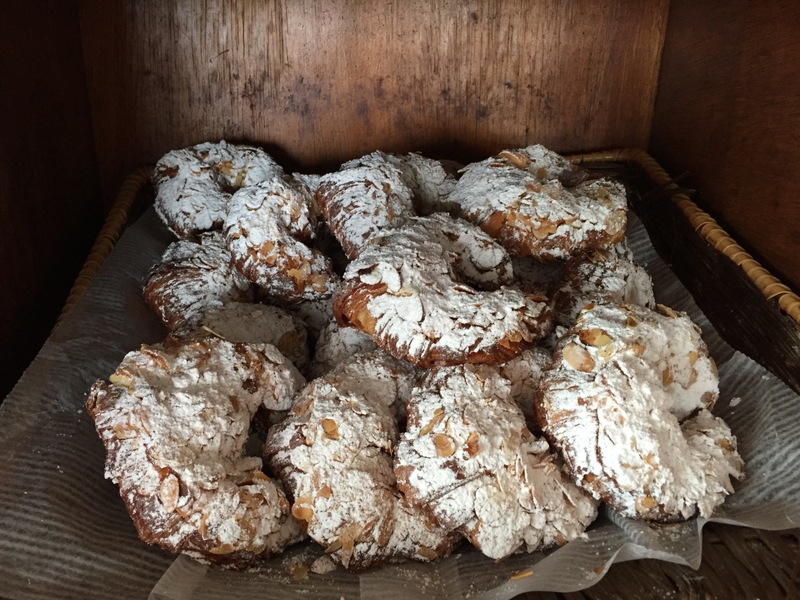 The almond croissant is and delicious; it also serves as a canvas for an amazing French Toast.